Great coupons, Great businesses, Great cause! 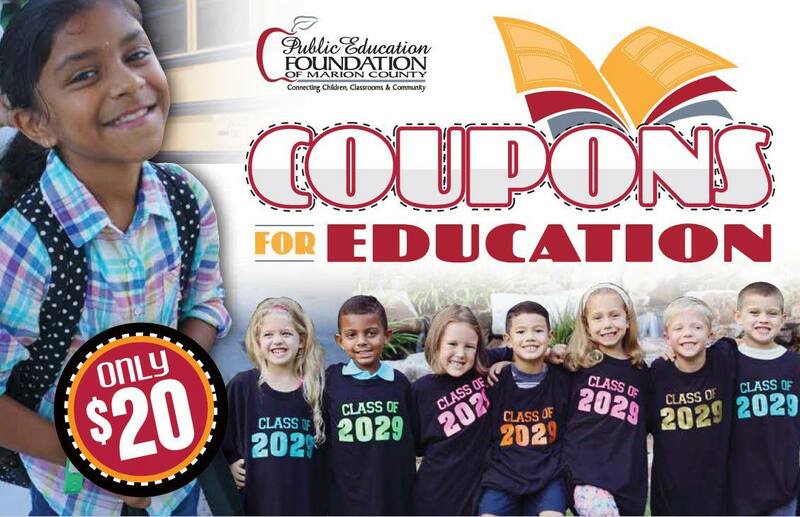 Over the past 20 years, more than 2.5 million has gone directly to our local public schools thanks to our Coupons for Education campaign! 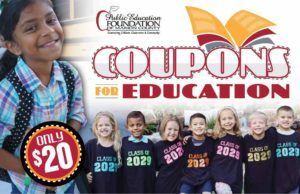 We partnered with Marion County’s own JJ Fields, LLC to produce our 2017-2018 Coupons for Education book which is on sale now for $20 at every Marion County Public School!